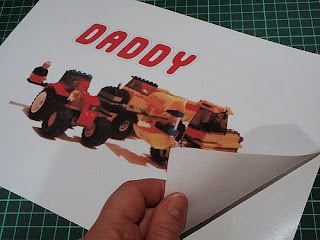 I recently asked the kids what they would like to give their dad for his birthday. They were quick off the mark with ideas. Bargy thought necklaces, whilst Argy was adamant it should be Star Wars. No, no ... Lego. No wait ... maybe Star Wars Lego. While the necklace idea came and went, Argy continued incubating his Lego plan. Finally one afternoon he built a dazzling array of Lego vehicles and pronounced them all to be gifts. They were very intricate and rather good. But frankly there was no way the plastic engineering would survive more than a day or two. If Bargy found them, they'd be toast. In a rare moment of inspiration I grabbed my camera and recorded them for posterity. 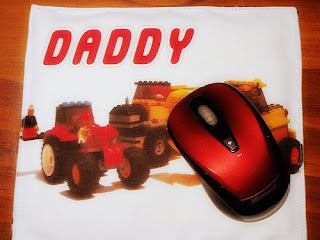 Which is how the boys came to present their dad with a one-of-a-kind mouse mat depicting, amongst other things, a Lego tractor being driven by Darth Vadar. 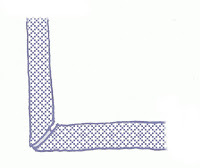 Print the image to your printable fabric, following the manufacturer's instructions. Place the printed and contrast fabrics face down. 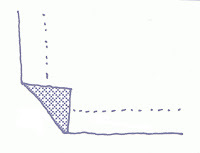 Turn single fold hems on all sides. 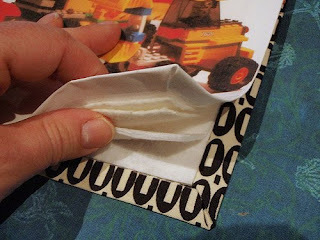 Press, then open the folds out again. Mitre the corners of the hems. 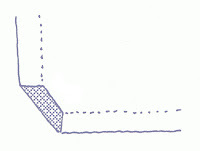 (The dotted lines indicate the fold lines for the hems and the third diagram shows a trimmed corner). Press with an iron as you go. Cut two pieces of heavy-weight fusible interfacing and one or two pieces of batting to size. Their length and width should be about 2cm (approx. ¾") smaller all round, than your fabric. Fuse the pieces of heavyweight interfacing to the wrong sides of the printed and contrast fabrics. Make sure you centre the interfacing so that you have a 1cm (approx. ⅜") perimeter left clear for stitching the mat. Sandwich the batting between the printed fabric (face up) and the contrast fabric (face down). Match the edges of the fabric carefully. Staying as close as possible to the edge, machine sew around the perimeter of the mat. Lovely birthday present. Lucky Daddy. Does this mean the sewing machine survived your last post ? Cool tute! That looks like fun. I'm bummed your mouse is blocking vader driving. Wanted to see that! So, does this mean "Houston, ah never mind we fixed it"?? What a flippin' fabulous idea! Ha, ha, I love the fact that Darth Vader is driving. I love how you managed to preserve Argy's gifts in such a creative and fabulous way. That's brilliant, Liesl! Love it! Great idea! 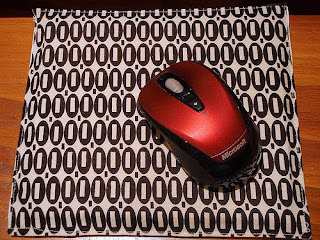 Thanks for sharing it, I need a new mouse mat. Lucky Daddy. This is great team HB. What a great idea , thanks so much I love it ! What's the verdict? Does he like it? Now that is cool dude! That is very nice of you to share to everybody. It really is so sweet to be creative in giving a unique gift to your love one. However, if you are too busy to create, there is a site that offers unique personalized gifts through online shopping. 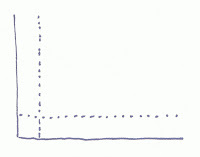 This is a nice blog and keep posting quality content . I am very much impressed by this blog. Now a days most of the people want to learn many languages and communicate with other people. So This blog may be helpful to them. 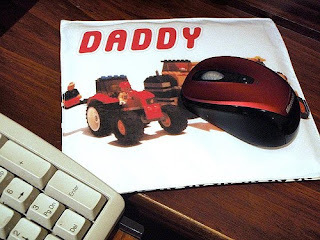 The custom mouse pad is one of the trendiest item because nowadays most of the people love to use this item while working on the computer.